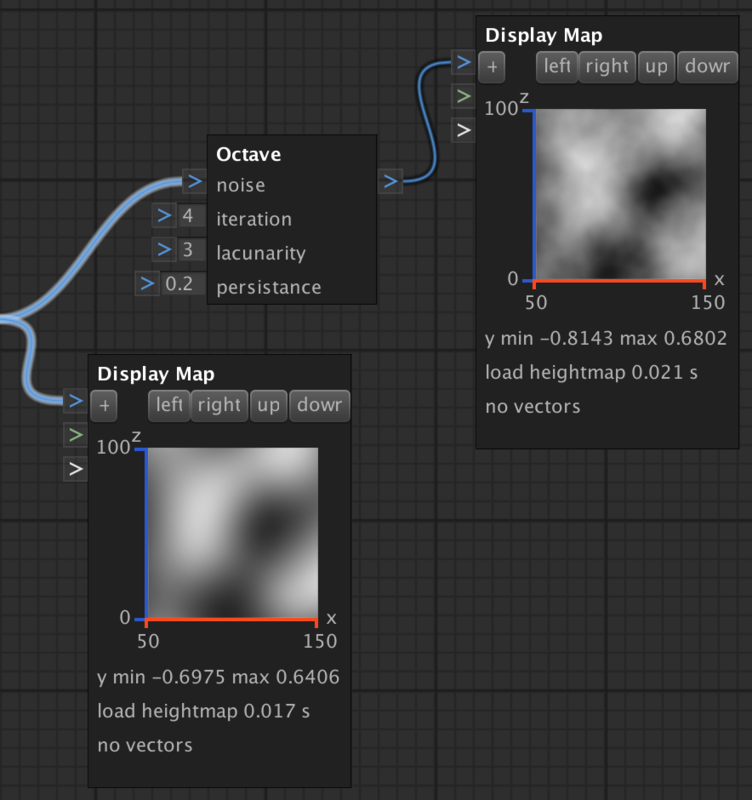 The OctaveNode rigs noise values. noise The noise value to rig. iteration The iterations to rig the noise values. Notice: the source noise will be requested every iteration. This can impact performance for high iteration values. lacunarity The lacunarity for the iterationss. persistence The persistence for the iterations.